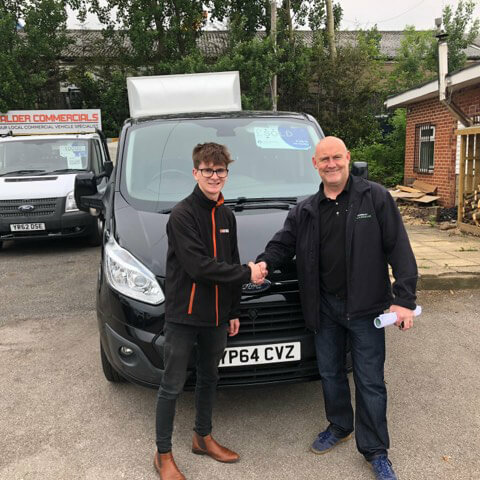 'Id like to thank Joe and his team for the recent purchase of our new van, I found you and your colleagues friendly and professional and dealt with our enquiry with the speed we required. 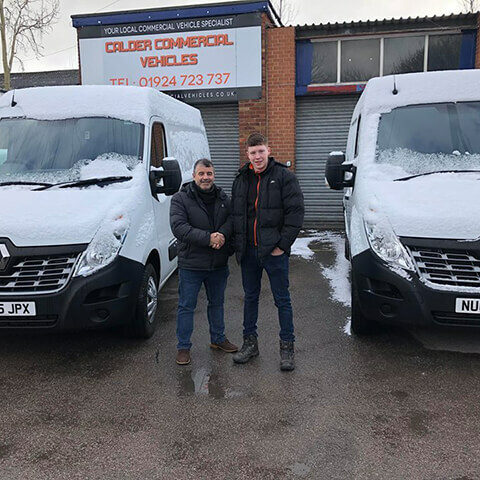 My business has recently set on 2 new members of staff and need a van for their role, i was amazed that within one week, you had sourced a suitable vehicle and had it delivered to our premises ready for our staff, i felt that you went above and beyond my expectations. brilliant service, friendly and knowledgeable! Extremely happy with my new van, took in my old van, and did everything i asked! Great, friendly and knowledgeable service from Joe and the team, they even delivered it to Scotland for me! Can't recommend enough! Fantastic, i'm over the moon with my van! you guys are great, thanks!! 'fantastic service from Calder, very helpful, cheers guys! You guys have been great, been a pleasure! "Great Company to deal with "
It's been an absolute pleasure, very easy to deal with! Nice and easy, just like it should be! Thanks guys! Great friendly and fast service, van was prepped and ready for the next day! Fantastic service, Owen kept me up to date throughout the process, everything done quickly for me to collect within the week.
' I am writing this review, to bring to your attention the hard work and effort one of your colleagues, Lauren Cole,has put into win my business. Lauren has gone above and beyond to fulfill and meet the needs for my business. I ordered a pick up through Lauren with a deadline to meet and this was completed in record time. I am happy with the truck which is currently in use. I will definitely be recommending Lauren's customer service skills, and fantastic experience with expert friendly knowledge of your company. I have leased a van through Vanarama at Ossett. I dealt with Lauren through the process, she kept me fully informed at every part of the process, I could not praise her, or Vanarama, any higher as they were so professional. They didn't just want my money as the deal I got was perfect first time, as promised. I would definitely recommend Vanarama to anyone, GREAT COMPANY. 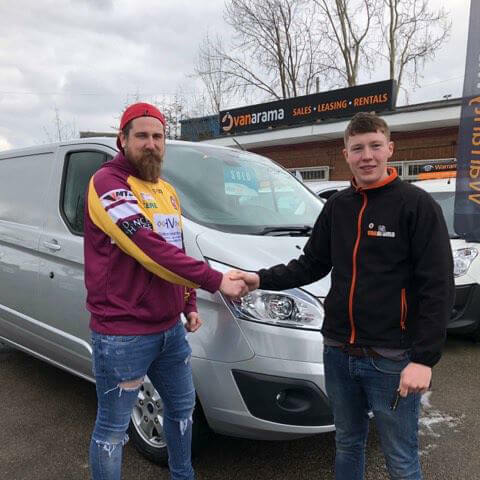 Karl and his team are awesome, many thanks for sorting out my new van, absolutely over the moon! Very happy with the great service we have received. All the staff was extremely friendly and couldn't do enough for us. great customer service from start to finish, really helpful team who kept me up to date through the finance process! fantastic customer service, couldn't fault! Fantastic service from start to finish, cannot fault! Thanks Calder Commercials! Fantastic service and great to deal with, always happy to help. Highly recommended, seemed to go that extra mile, fantastic service. Top lads very helpful,sold me a great van , just the job! Fantastic customer service. Been brilliant. Absolutely great to deal with and great service. Couldn't ask for more! Thanks guys!! Nice to meet Karl again today, I have bought 4 vans from him over the past few years for my company fleet. Took my brother down today to have a look around the vans and take one out for a test drive. Karl is very knowledgeable when it comes to leasing or buying. My brother will soon be driving around with a smile on his face in his new van. We even had coffee and cake. Cheers Karl see you soon! Beep beep ! It's refreshing to deal with nice people and not have your typical motor traders that come with most dealerships. Just genuine nice people willing to offer help wherever they can. Thank you! 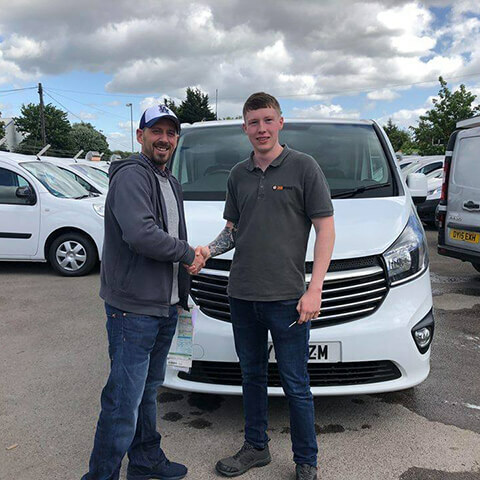 Karl and his team couldn't be more helpful - they offer a genuinely customer focused and consistently high standard of service. They have a fabulous range of vans in stock and can get other stuff if you need them to. Prices are very competitive too. Highly recommended! Thank you very much Calder Commercial Vehicles! Karl and Owen gave us such a fantastic service from start to finish. We are so pleased with the Citroen Berlingo we picked up today - would highly recommend this company to anyone! Luke found me a van within 2 days and had it delivered within 3 ready to go. Absolutely great service I would highly recommend Luke for all your commercial needs. Karl was great. No pressure selling just did exactly what he said he would do. Excellent from start to finish very helpful indeed. Easy to speak to kept me up to date with everything even when Ford changed the delivery dates. Excellent service, made sure everything stayed on track even after dealer made a mess of things. Have had 2 vans from Karl now, wouldn't go to anyone else. Brilliant van, brilliant service, would recommend to anyone. Easy to deal with, straight talker. Talked me through all my options to get the deal that suited me. First class service. Saved me a fortune. The advice and information I was given was just what I was looking for.